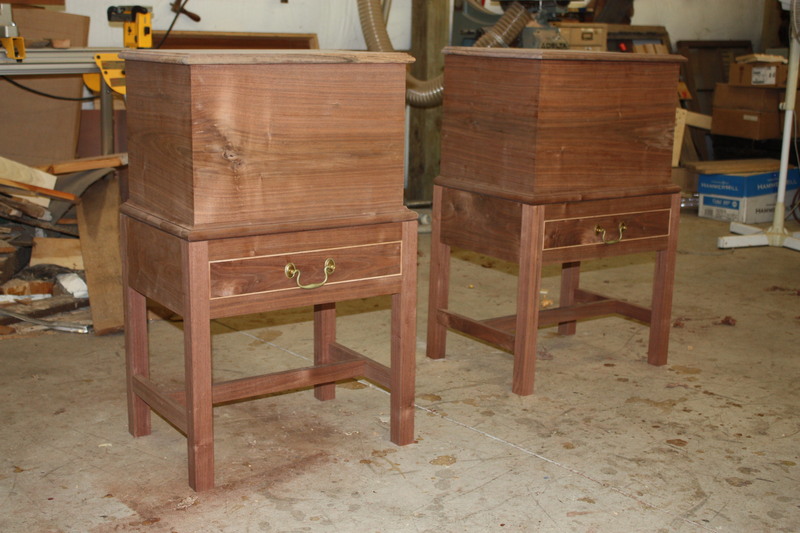 An interior has been dry fitted into one case. 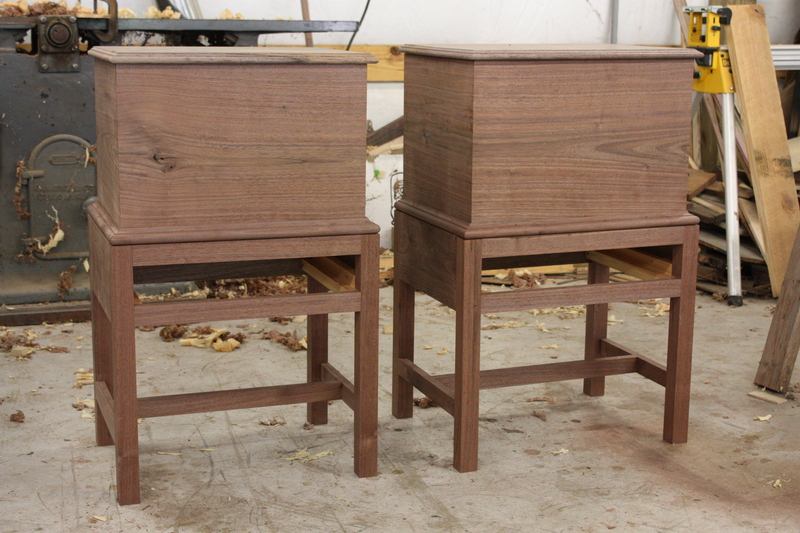 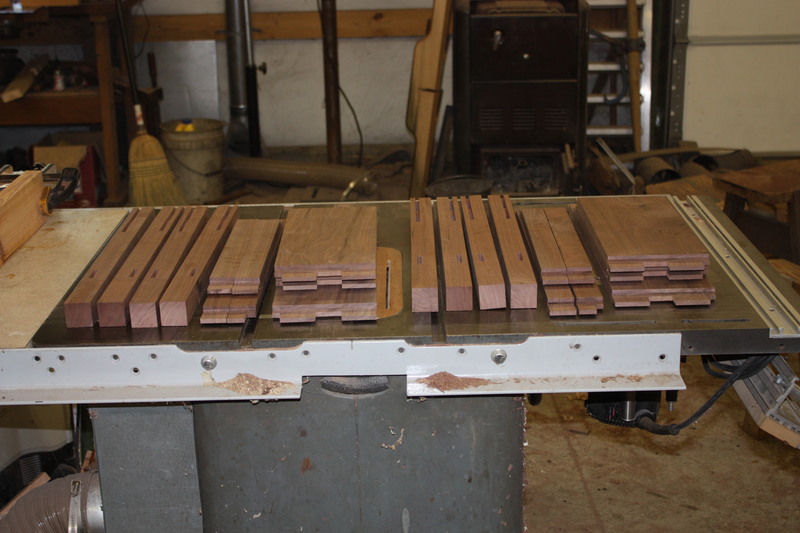 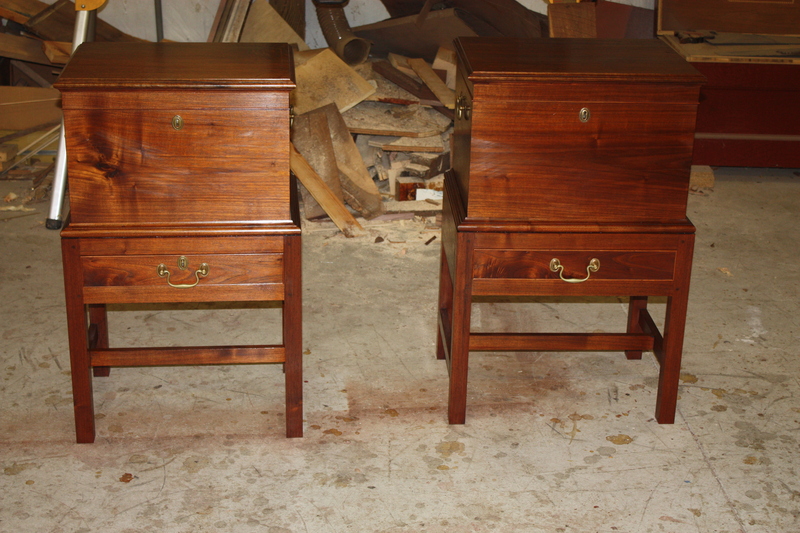 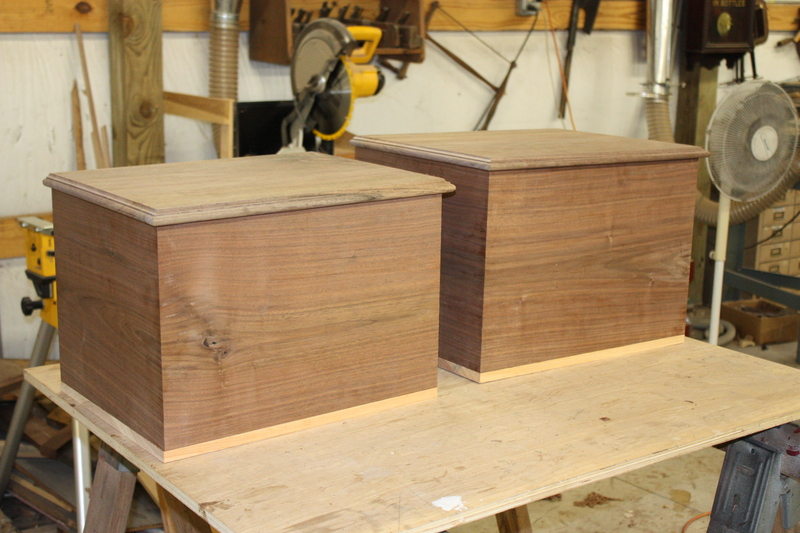 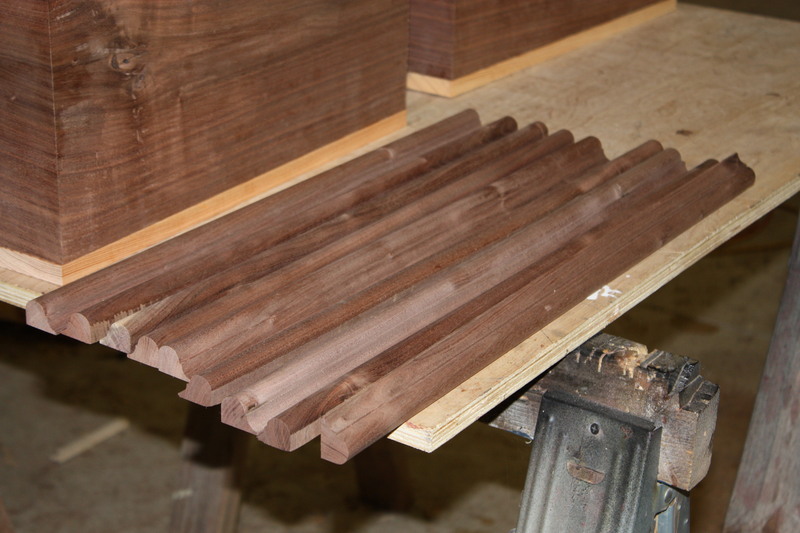 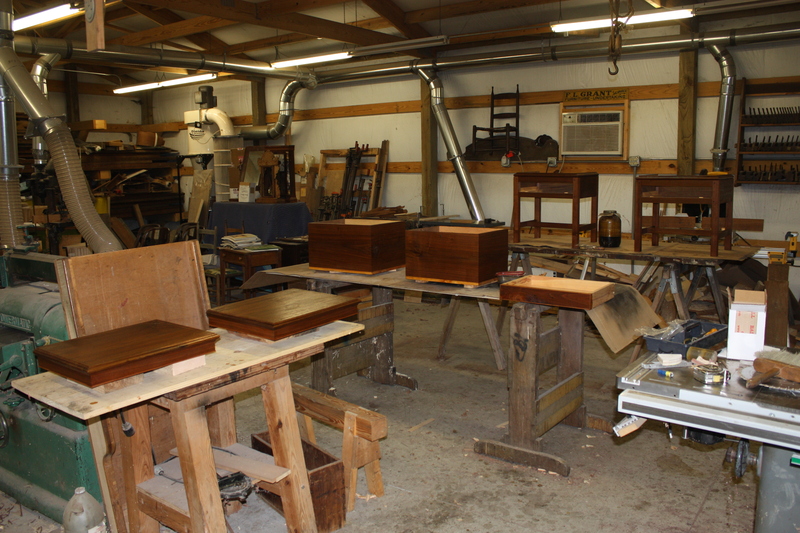 The dividers are set into the cases by cutting blind dados on the inside of each case. 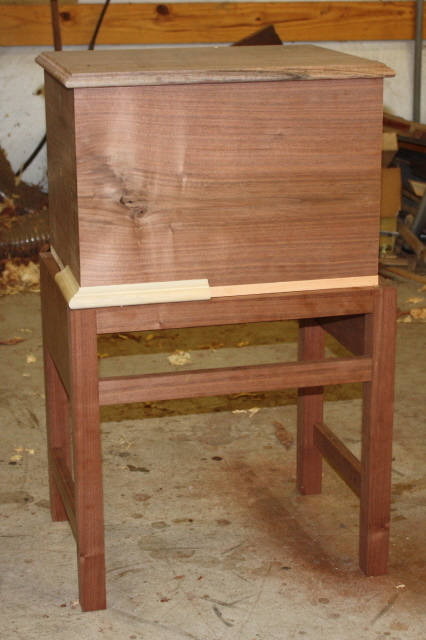 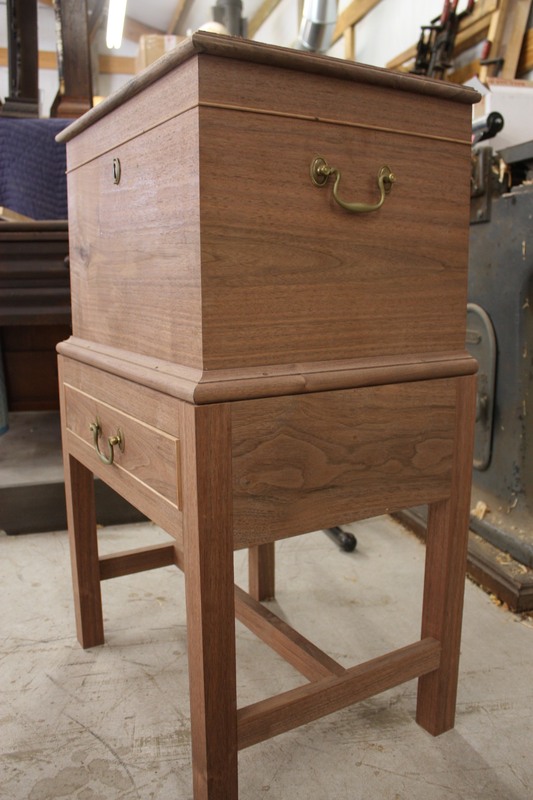 This is the same way a till is set into a blanket chest.